This blog offers guidance to organizations seeking to develop a modular and scalable network segmentation design. The blog is a part of both the Security Architecture Series as well as the APT Strategy Series with the overall goal to improve security around protecting users, applications and access to data to enable a Defensible Security Posture. Organizations and their IT environments are constantly changing. For some years, these “hyper-extended” environments have been growing more globalized, virtualized, distributed, and mobile. 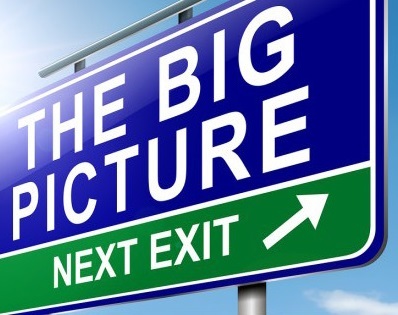 The resulting significant architectural changes require network security zones to become more modular and dynamic while maintaining a level of organization and proactive management to prevent complexity or fragmentation. Network security zones that separate systems based on their communication and protection needs minimize security risks while allowing information flows to continue even in the face of failures and security incidents. This blog series helps organizations determine how to group IT resources into security zones bounded by network perimeter controls that enforce mandated separation policies. 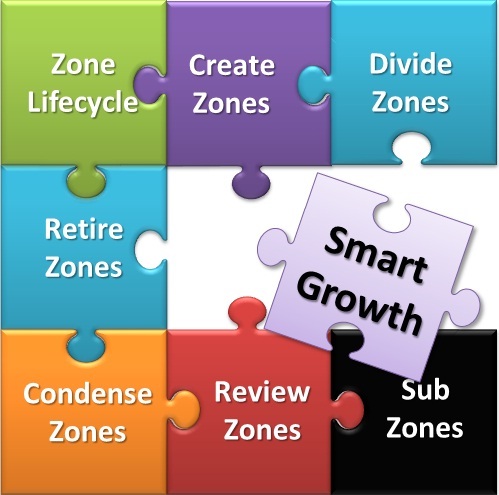 The conceptual Adaptive Zone Defense design proposes 7 foundational layers or zones that are described as, the Untrusted Zone for assets not under the organizations control, Semi-Trusted (DMZ) Zone for assets that are externally shared (either publicly or to 3rd parties), Trusted Zone for internal systems, Restricted Zone for high risk and/or mission critical systems, a Management Zone for network services and management systems and, an Audit Zone to isolate and protect security logging and monitoring. There is also the concept of a Sub-Zone that is basically a Zone within a Zone that enables special cases, such as regulatory mandated segmentation. The following graphic presents a conceptual high-level zone design that provides a foundation for a series of multi-layered zones based upon the device or systems Application Security Profile criteria. The criteria will be applied to this security model to develop the Application Security Design (Placement, Policy, Controls) based upon the Zone Architecture Rules as well as Application Architecture Taxonomy (discussed further in the next blog). The critical success factor is in the Zone Deployment and Migration to move servers and systems to this model. This section provides an overview of the considerations and we will go into more detail in a future blog on this topic. Like Firewall Rules, Network Security Zones are organic and can easily become complex over time as new services and servers are deployed. It should be noted that the original Zone Architecture and Design was based upon the security model and business requirements at one point in time. 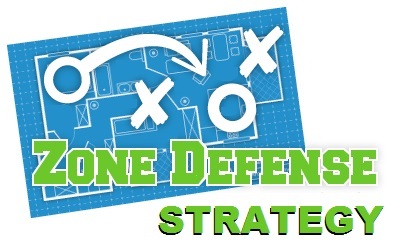 The concept of Adaptive Zone Defense talks to the critical need to continually review the Zone Design and to validate it against the needs of the business, new services, application and system deployments, new relationships, and so on. Based upon assessments of 100’s of organizations the typical challenge with legacy DMZ approaches is that they start out well designed and organized. Over time the security model does not quite fit a new business need or deployment and/or the security model is not well understood and so either exceptions are made or human errors are made. The result is a DMZ implementation that is not only complex and harder to manage and maintain but also at risk of human error with configuration and implementation mistakes creating backdoors or side doors. IT needs to be continually educated about the Zone Design, the business rules and the security model so that it is clearly understood. 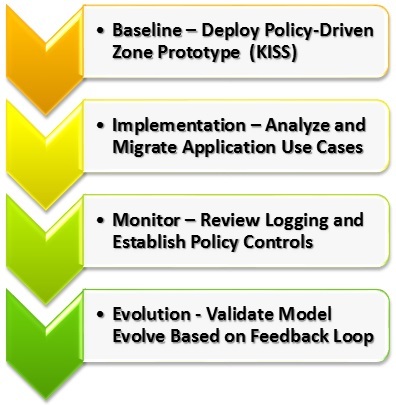 In addition, the Application Architecture Taxonomy (see below) needs to be integrated early in the cycle of service and server deployment processes and refreshes so that deployments are included in a risk assessment, are designed appropriately and thus, are placed within the Zone Design based upon both their connectivity and security needs to protect them and not break the model. Security zone isolation is a lot of work, at least initially, but it offers a tangible Return on Security Investment (RoSI) that helps stop that bad end-user(s), a weak remote office(s), a malware infection or, a persistent attacker from compromising the whole network. In Adaptive Zone Defense – Part 2 we develop a key profile that is currently termed an Application Architecture Taxonomy that considers Applications and their relationships as well as Users and their relationships. profile organizations and are currently in operation. In future parts we will tie this all together in terms of how to profile applications based upon data classification and risk assessment as well as communications needs to determine the appropriate zone placement, protection controls and, access control policy. We will also discuss the deployment and migration considerations which are extremely critical to success. Lessons learned. so much of a zone can be defined by the set theoretical grouping of endpoints – in particular common relationships with the other end of the transactions. I watch every day as Netflow/IPFIX contain the exact details required for this classification and categorization. I like to think of an endpoint as defined by the relationships it holds and maintain rather than in isolation. Exactly. In defining Zones you need to consider the Application and its relationships as well as Users and relationships as I stated in Part 2. No point isolating a system if it has rich connectivity with an insecure system in another lesser Zone. Like Role engineering Zone engineering needs thought around flows. I agree that Netflow/IPFIX is a good tool to think about Application Connectivity Management … which is what it boils down to. Both to have visibility to the connectivity/flows as well as manage it effectively.